The tradesperson is only as good as his tools. . .and his understanding of how to best employ them. 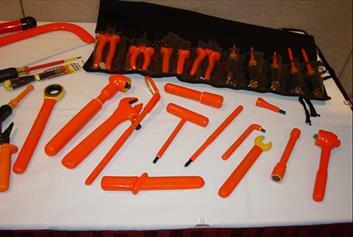 Too often workers are injured due to a lack of training on specific equipment, or of less importance, a quality tool is damaged due to misuse. I am trained in the operation of infrared cameras, ultrasound equipment, data loggers, multimeters, and a host of safety equipment. This experience has been beneficial both in the field and in the classroom; not only have I had a safe and healthy career myself, I have been able to impress the importance of quality equipment and safe practices upon my students, in turn allowing them a fair chance at a rewarding career themselves. This was driven home during my first semester teaching; a student came into the classroom shortly after a class about lock-out/tag-out procedures, and stated that what he learned in that class had saved his life. Can a teacher ask for anything more?